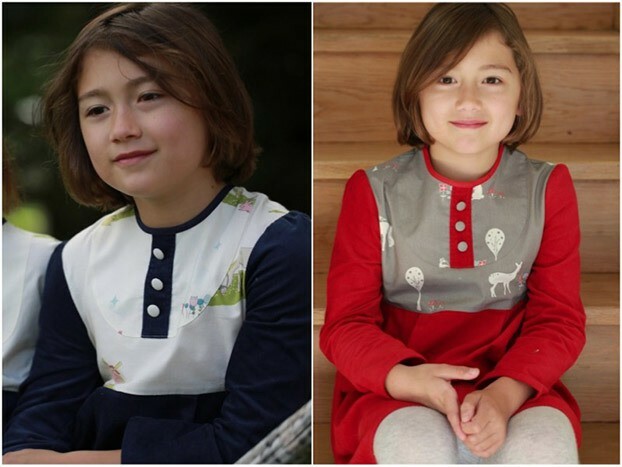 I love today’s prize – a dress from the new Rocket Muffin winter range, worth £12! The winner will be able to choose from either a red or blue Field Friends Cord Tunic Dress. We reviewed a Rocket Muffin dress not long ago, and Georgie actually wore it to my brother’s wedding recently, we loved it so much! The organic cotton is really lovely. Which is your favourite dress from the Rocket Muffin range? Thank you for entering, good luck! This competition ends on 25/10/13. I love the wood cut floral smock dress So pretty! The Woodcut Floral Smock Dress is my favourite. It looks a wonderful dress for summer, and suitable for autumn with a cardigan.